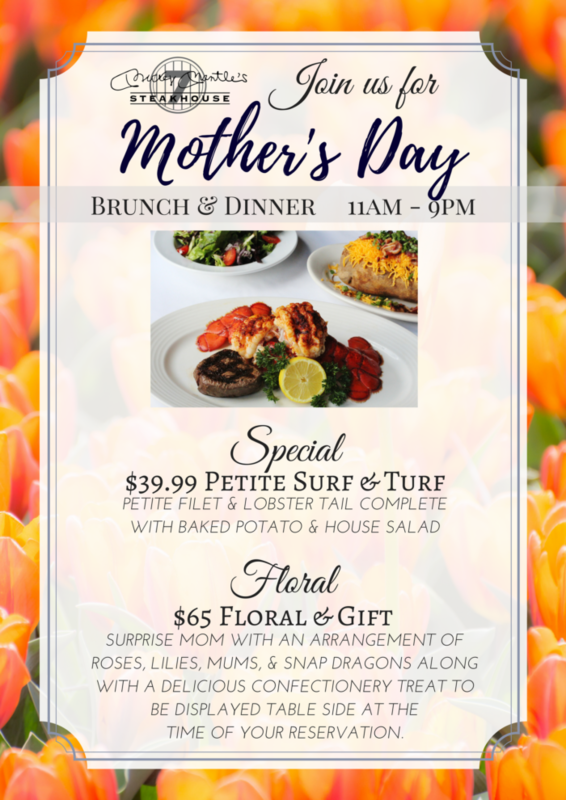 Celebrate Mother’s Day at Mickey’s! Surprise Mom and set her up with our beautiful spring floral package to be placed on your table upon arrival! Make your Mother’s Day reservations online at www.mickeymantlesteakhouse.com or by simply calling the store directly to make your brunch, dinner or floral reservations at 405.272.0777. All Moms will receive a little something special to enjoy even after their Mickey’s Mother’s Day celebration is done! Mother’s day comes once a year, treat your Mom to something she won’t soon forget!